Alas, here you see just how green I am about the big Mr C, still. October 6, 1781 – Death of Rev. John Coleridge, Coleridge’s father. October 4, 1791 – Wedding of Samuel Taylor Coleridge and Sara Fricker. 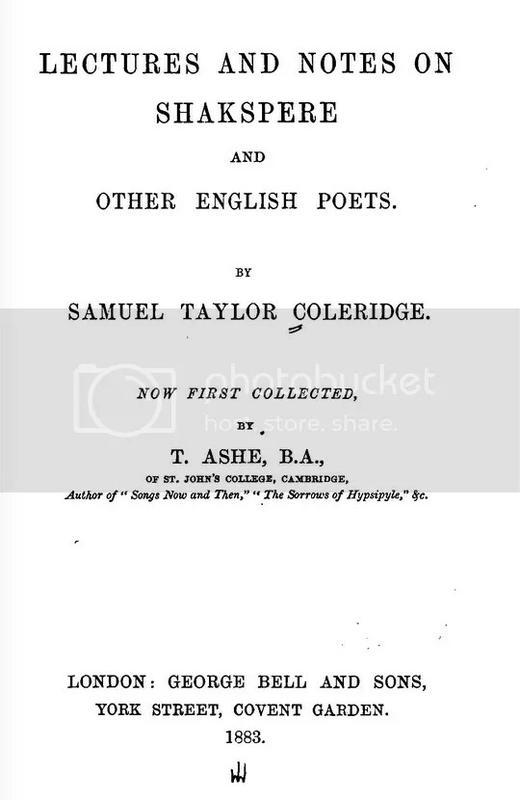 …And in order to be complete, 202 years ago, today marked the day when Coleridge moved to London – one of the great turning points in his life, from what I understand: For the madness that would lie ahead for him, and for us, for the great lectures on Shakespeare that he would proceed to give, and that would play great part in helping to establish the Elizabethan author, and the play Hamlet again among 19th century authors.